These felted vessels are so fun to make. 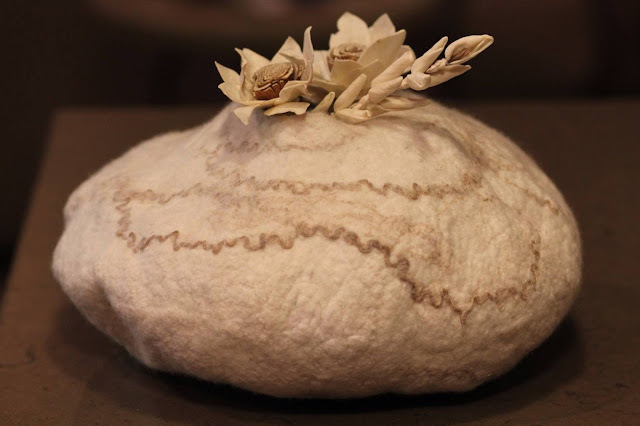 Easy and quick for some immediate gratification, plus they can be made with a limited amount of space unlike the felted garments I've been making lately. They're seamless and made using a resist so they're a great project if you're just learning to do seamless felting. Tuesday evening, October 22, 2013, 5:30-9:30 p.m. 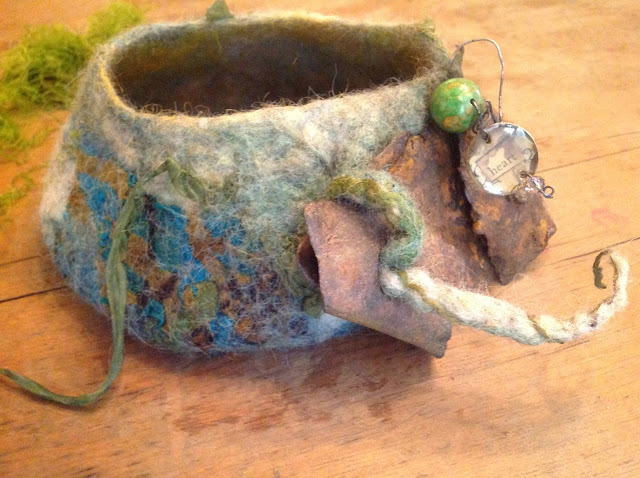 Vessels made with merino wool and silk. White merino roving with yarn embellishment. Started with a 17" circle as my resist. I named this vessel "Made with Heart". I used Navajo Churro wool batts instead of merino roving per Sally Hall's recommendation. I met Sally and her daughter Susan, both talented artists and owners of Spirited Hands in Tucson, AZ, at Jean Gauger's Portland workshop earlier this year. I love the way the Navajo Churro felted and how substantial it was for the vessel. 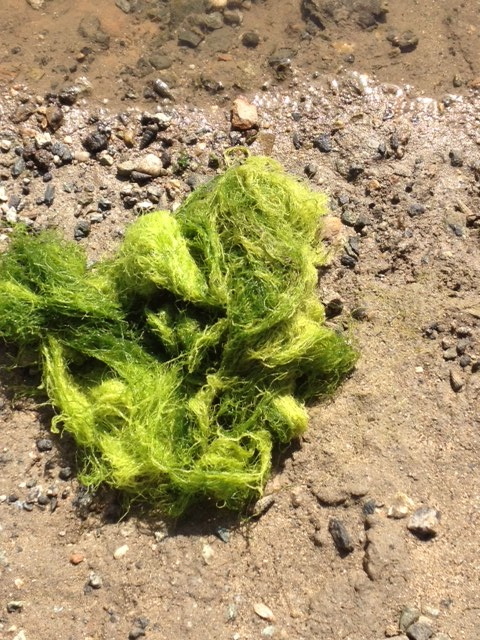 Would be great for a purse, pillows, rugs and things where you need a more sturdy type of wool. I added silk fabrics, vintage sari ribbons, wool yarn and even kelp that I picked up from the bottom of the Colorado Lagoon. The lagoon has been fabulous to swim in on these hot late summer days that we've been experiencing lately, it's been bliss to cool off there. Any what a sensation on my feet as I wade to shore through the soft, cool carpet of kelp. I found the rusty metal piece on the side of the road on a recent hike in Catalina. Not sure what it was but figured it would make a good found object. 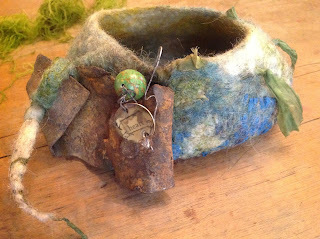 True to what I envisioned, I incorporated it into the vessel with a felted cord on one side and a threaded piece of wire through a drilled hole on the other side. A bead and resigned bezel with the word "heart" added the finishing touch.